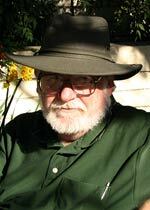 John Varley was born in Texas in 1947. After spending time as a 'confirmed drifter' he settled in Portland, Oregon and became a full-time writer. He has won the Hugo and Nebula awards a number of times, and has also received the prestigious Prix Apollo. His acclaimed novels include Titan, Wizard, Demon (the Gaea trilogy), Millennium and Steel Beach.